Hey hey hey! 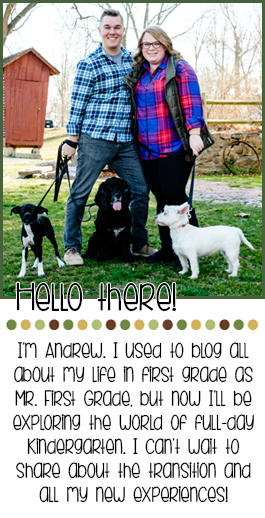 I've been dying to create one of those animated GIF quote boxes that all the cool TPT sellers have, so I decided to give it a whirl! I found some tutorials online that were really complicated, so I thought I'd simplify it for you if you're looking to add one to your store, too! Change your slide size. TPT will resize it to fit in the end, so I set mine to 30"x10" so I had more room to work. On my Mac, I did this under File - Page Setup. On a PC, you can do it on the design tab. You might also want to set your slide background to the same color as the TPT quote box, like I did. Totally up to you... Red: 241 Green: 241 Blue: 241... OR hex color #F1F1F1. Save your presentation as a PNG. Make sure you save the whole presentation (every slide). They'll get saved into one folder. Upload your images to gifmaker.me online. I chose these settings for mine, but play around with it if you want your images to cycle faster or slower. I left mine sized at 100%, because remember that TPT will automatically size the final image down for their site. I tried making my image smaller on gifmaker, but then it ended up blurry in the end. When you're happy with the speed and transition, click "Create GIF Animation" then "Download the GIF" when it's done. Time to upload to TPT! Go to My Account - Store Profile - Edit... Under personal quote, pick Image/Link from the dropdown menu. 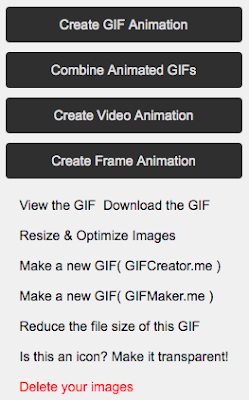 Upload your new GIF, and change the URL to the product that you're featuring. It's seriously not hard at all. Comment or shoot me an email if you have any questions... Have fun, and good luck! !